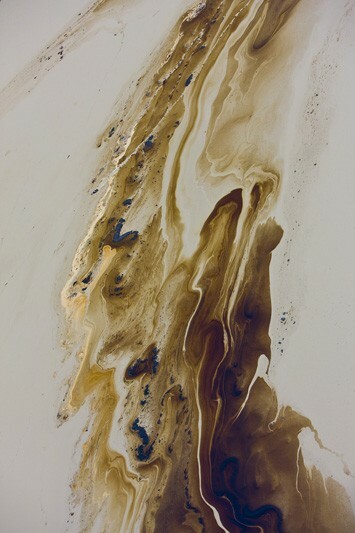 The Athabasca Tar Sands lie under 54,000 square miles of Northern Alberta, at the southern end of Canada's boreal forest. They contain an estimated 1.7 trillion barrels of oil, one of the world's largest hydrocarbon reserves. These deposits are a gluey mixture of glacial sand and muck saturated with tar-like bitumen. 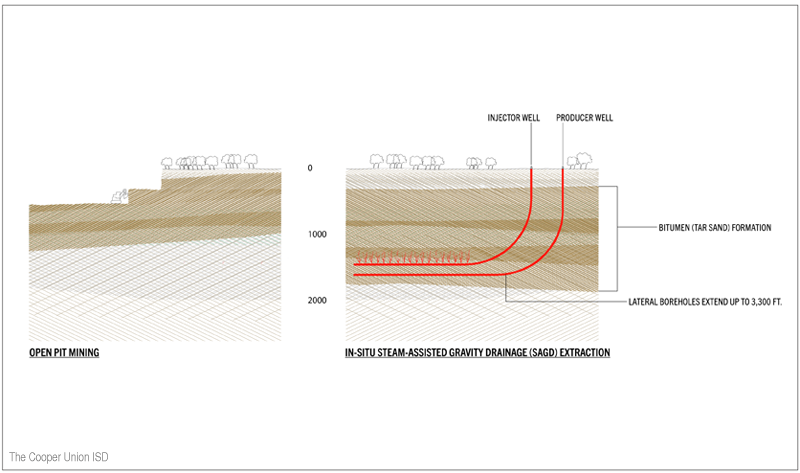 In order to extract usable oil from tar sands, the soil and vegetation layers must be peeled away in a process similar to strip mining. 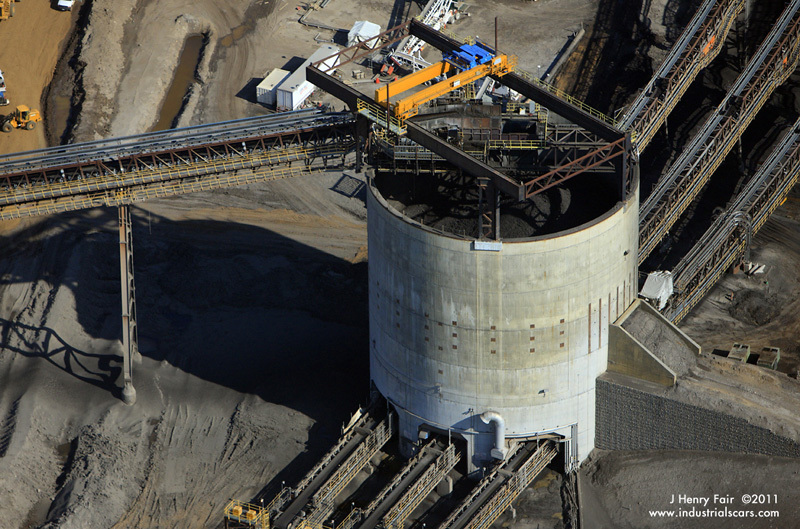 The sands are excavated out and washed with huge quantities of steam to strip away the hydrocarbons. 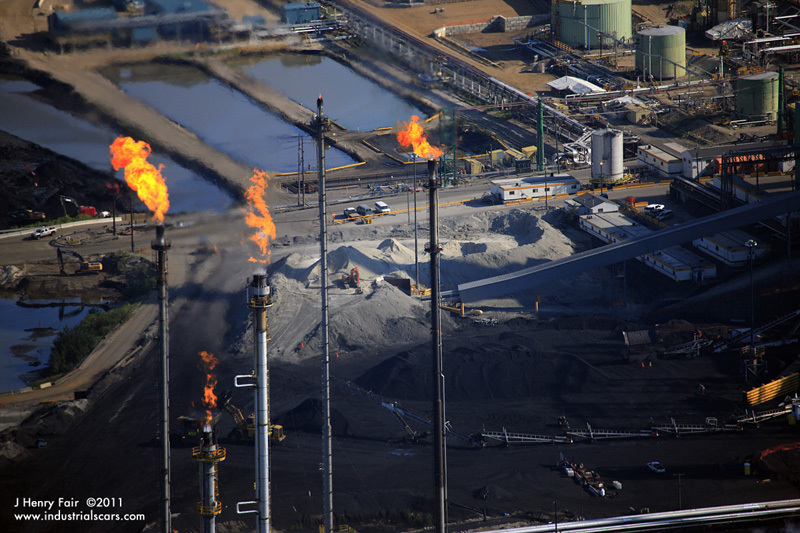 The separated oil is then purified, collected and sent by pipeline to American refineries and markets. 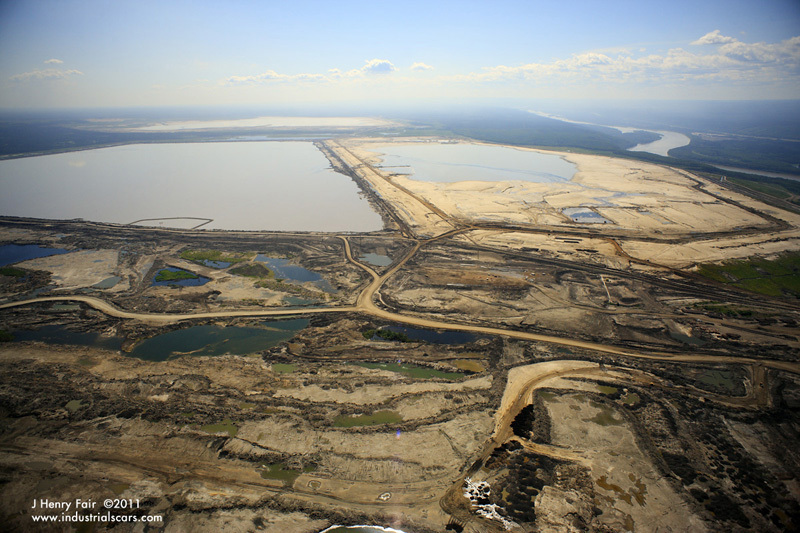 Surface mining of the Athabasca deposit destroys the landscape and eradicates natural habitats. It also produces spoil ponds, which hold the liquid pollutants from steam washing and other extraction processes. Legally, the oil industry is obliged to restore the landscape, but many experts assert that restoration is a practical impossibility. 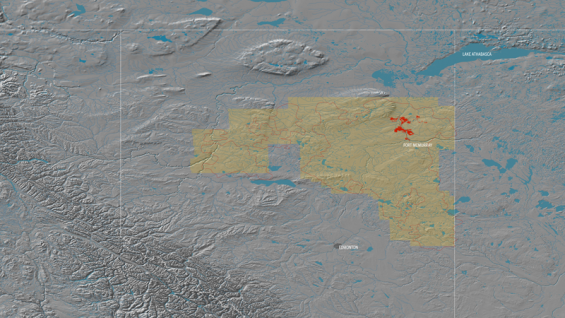 Even more problematic, should the ponds breach and wash into the Athabasca River, environmental damage would occur for 1,000 miles or more downstream to the Arctic Ocean and likely persist for generations. Overall, obtaining a barrel of oil from Athabasca results in three times more greenhouse gas than obtaining an ordinary barrel of oil. Nonetheless, the Athabasca tar sands are about to become America's largest source of imported oil. The United States government, in permitting the requisite pipelines, has become an active partner in the development of tar sands oils, serving the ambitions of Canadian Prime Minister Steven Harper and his oil industry allies who expect to see Canada become, despite that country’s stated concerns about global warming, the OPEC of the North. The impact of tar sands on the global environment goes beyond the regional damage to northern Alberta and the Athabasca watershed. Canada's boreal forests are the greatest swath of unspoiled northern forest in the world and a priceless reservoir of sequestered carbon. The map of the Canadian boreal forest and its principal rivers is now dotted with proposed oil, shale gas and mega-dam developments, most of whose power would go to service the oil and gas extraction industries. Flares at a Fort McMurray tar sands upgrader. 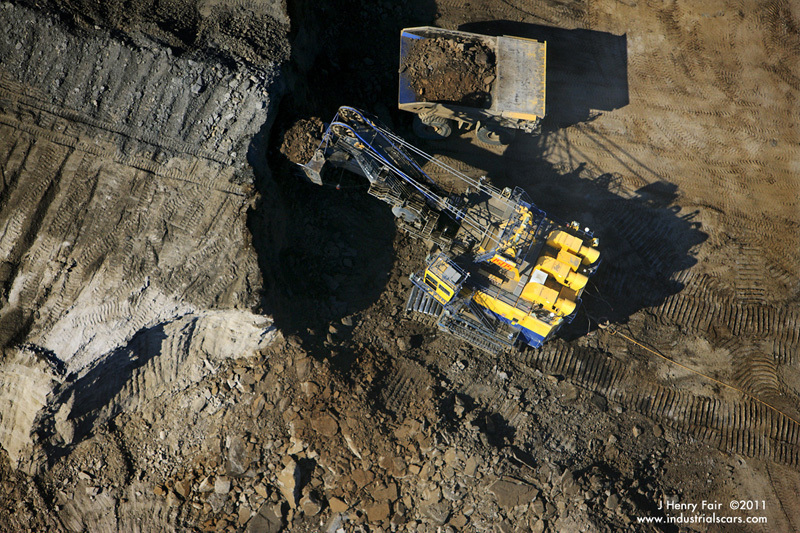 A shovel scoops away material at the edge of a pit at the Fort McMurray mining site and dumps it into a waiting truck. 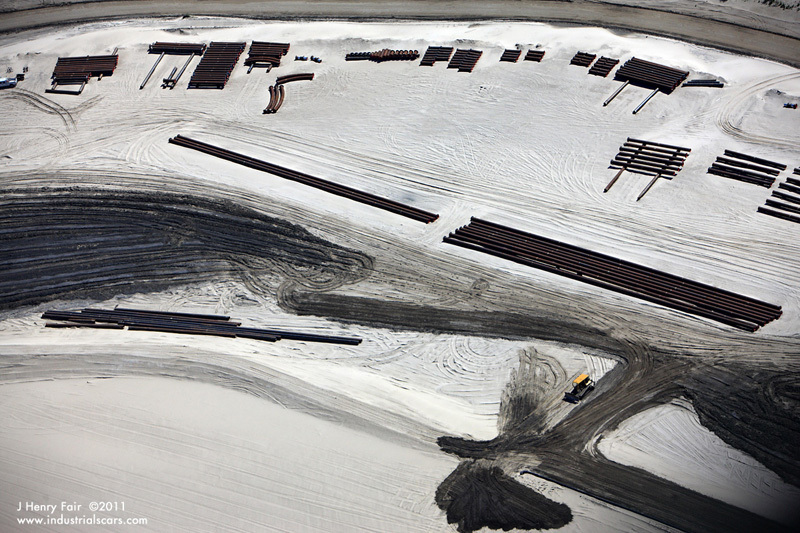 Tar sands raw materials collection and distribution point in Fort McMurray. Tar sands tailings pond in Fort McMurray. Tar sands tailings pond. Fort McMurray. Alberta, Canada. Pipe sections in area adjacent to tailings ponds. Fort McMurray. Alberta, Canada.